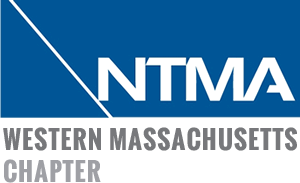 The Western Massachusetts Chapter of the National Tooling and Machining Association (WMNTMA) and its more than 60 member-companies are committed to developing new technology, providing applications engineering support, implementing sustainable workforce development strategies, enhancing employee skills and developing business partnerships. A unique blend of experience and technology characterizes every aspect of Boulevard Machine & Gear, Inc. – A place where challenges are continually met through the marriage of competent people and fine manufacturing equipment. Our long term focus is to partner with suppliers who trust the manufacture of their parts to the expertise of our skilled workforce. Boulevard’s core competencies lay in our ability to machine complex multi-axis components from modeling, programming, machining to first article inspection with responsive lead-times. Boulevard’s blend of talented machinists provides unapparelled quality components while utilizing a mix of 5-Axis Milling, CNC Turning, and CNC Gear Cutting equipment. While the manufacturing of gears was once our mainstay, Boulevard has transformed into a versatile manufacturing facility under the undying persistence of Susan Kasa. Boulevard Machine & Gear is certified as a women’s business enterprise through the Women’s Business Enterprise National Council (WBENC) and is AS9100, Revision D, ISO9001:2015 and ITAR registered company established in 1954 and occupying 20K square feet of manufacturing floor space. Some of our nationally recognized customers include: Boeing, UTC Aerospace Systems, Harris Corporation, Siemens, Parker Hannifin Aerospace, Hydroid, Inc., Otis Elevator, Proctor & Gamble/ Tambrands, Solo Cup/Sweetheart/Dart, Timken Purdy Systems, Titeflex Aerospace, and the U.S. Army.